The residents of the tough streets around Islington are heartbroken at the death of George the VI but having a young Queen on the throne isn't the only change that they can expect. The toughest street in London, Campbell Road, is due for demolition. One of the last residents remaining, Matilda Kiever, born and bred on the street, remembers many things about the past, not least what really happened to Christopher Wild's mum, Pamela. Christopher thought she was dead, but it turns out she is very much alive. But before he can get to the bottom of things, trouble starts to brew on Campbell Road when, after months of tension between Stephen's building firm and the local Irish Navvies, his father is injured and the finger of blame is squarely pointed at the Irish. 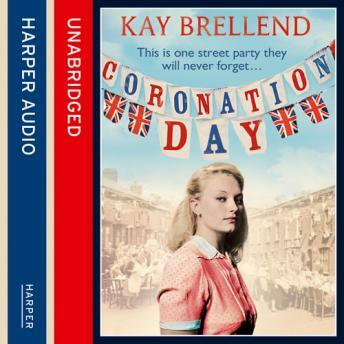 Meanwhile, Coronation Day is just around the corner and the street will be having the biggest party it has ever seen. But Christopher is about to get drawn into one hell of a ding dong - and Campbell Road is going to have one last knees up that no one will ever forget.